Now there is a Mickey Mouse cookie jar that is just made for storing all your leftover cookies so that they are ready for when you feel like more. 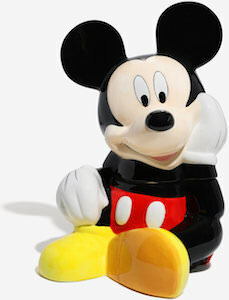 The cookie jar shows Mickey Mouse sitting down with an arm under his head like he is waiting for another cookie. And this Disney cookie jar is ceramic and is 10 inches tall and that makes it a cookie jar that is made to last so that it can be with you for all of your life. 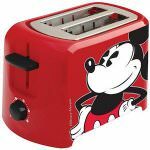 By taking off the head of Mickey you get to the space where you store the cookies and you can pick whatever cookies you want but in my case, there will be very few cookies inside it as it would eat them before they reach the cookie jar.